If you want to add a new furniture to your home but do not have enough sources then take a look at the following gallery. It is contained wooden pallets projects that will really inspire you to make your own furniture without spending a lot. Not even furniture but also many other must-have items for the home. Recycling is always the best options for DIYers to build up new and fresh items. Near to them, it is a big source to reinvent the items in a cheap and budget-friendly way. So, recycled pallets can bring in use to create so many amazing and useful items and projects. Wooden pallet projects have been very popular all around the globe that beautifies your homes and patios. These projects have been proven very cheap and budget-friendly so you do not have to spend a lot of fortune to fulfill your desires to have a dream home. So, if you are one of them then move ahead and bring your inner skills out by making these wooden pallets projects and make your homes well-furnished. There is no limit of wooden pallets projects, you can create everything from home décor to outdoor furniture everything can be created from pallets. And the best thing about these projects is that you would not have any difficulty to find pallets and not have to spend a fortune to get them. We can easily get them from your surroundings such as from vintage gardens, from the roadside or from around your home. But if you do not find them any one of these places then you can buy them from a thrift store at low cost. On all the ways, these wooden pallet projects prove beneficial and budget friendly. That’s the reason I have rounded up 10 cheap and useful DIY wooden pallet projects for your inspiration. 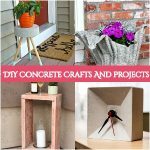 All of these projects are easy to make and incredibly perfect for genius pallet crafters. So, let’s have a look at the following list and draw some inspiration. I hope you will love all of them and love to add them to your home décor and other purposes. If you have a large collection of clothes and want a big wardrobe then this wooden pallets wardrobe will be perfect for your home. Not even clothes but also you can any other item in it. It will solve all storage problems and make your home well-organized without breaking the bank. This recycled pallets wardrobe has two separate sections one is upper part with two cabinets and other is the lower section containing two cabinets. Two drawers also have been made and all of these cabinets and drawers will provide you enough space for storage. This is another recycled wooden pallets shelving cabinet that is contained a bundle of cabinets. You can create this shelving cabinet for your kitchen where it will store a lot of kitchenware in it. It will be perfect to organize cups, glass and food items as well as to use it as a spice rack. This recycled wooden pallets TV stand is a cheap way to add beauty and glam to your TV lounge. It is made from useless and old wooden pallets and smartly created as TV stand as well as wooden decorating furniture at the same time. Retransform wooden pallets and make this amazing wooden planter from the pallets. 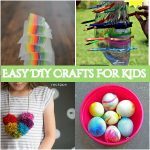 It will be easy to make and cheap in cost. So, now you will not need to but planters from the store. Just craft your own planters to beautify your garden with recycled pallets. This is another extraordinary wooden pallets wardrobe that will sure enough to solve your storage issues. It is a great way to store things as well as add a bit of decor to your room. You can also use it to put blankets and other needy stuff in your home. 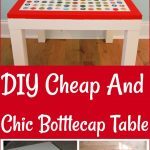 You need not buy an expensive furniture from the market when you have crafty skills in you. Create this amazing dining set with fully furnished and beautiful style. It will give you enough space to eat food together. This set has side tables that provide extra sitting space and beautify your dining place. What about this pallet sink? Perfect for those people want to buy a sink in their bathroom. It will save their money as well as give them a multi-purpose sink idea. It has two portions, lower can be used to place soap, shampoo and towels etc and the upper rat is contained a tap that can be used for washing purposes. This is another TV stand project that has been created from recycled pallets. This mind-blowing project will provide you many functional parts at the same. It will make your lounge an apeling are. Make this outstanding wooden pallets bed frame. This is made from repurposed pallets and has a headboard. So, save your money by creating this wooden pallets bed instead of buying new from the furniture store. If you have the big home and need a space divider then don’t buy it from the market. Bring in use all of the useless and recyclable pallets and make this amazing space divider without spending a lot.